Marvel's Cosmic Universe just got miniaturized! 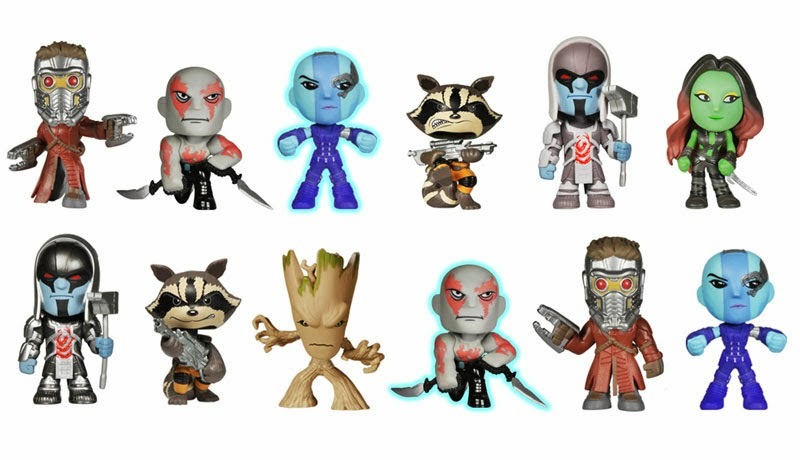 Heroes and Villains from this summer's highly anticipated Guardians of the Galaxy have been materialized into Mystery Minis! Featuring the Cosmos most nefarious villains: Ronan the Accuser and Nebula; as well as ALL the Guardians! 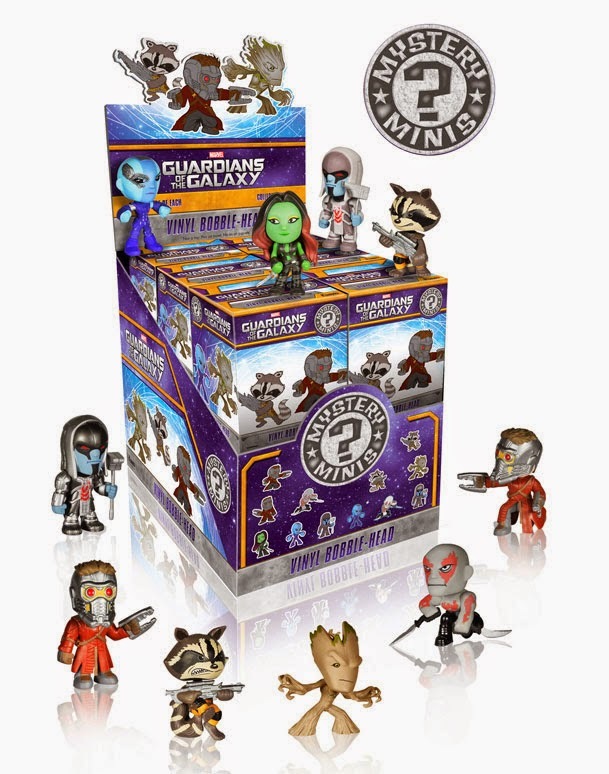 All of these Marvel Mystery Minis have bobbling heads and two Glow in the Dark! Check out the trailer for Marvel's Guardians of the Galaxy right here!